Let’s talk about body armor fit and coverage. As we all know, body armor panels and carriers come in many different shapes, sizes, and comfort levels. 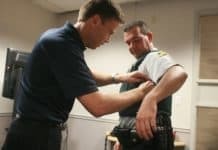 Today, I want to specifically talk about a few key things you should consider when selecting a vest and getting properly sized. Next, make sure that there is enough coverage on your sides. While the two-inch side overlap ensures increased protection, make sure the sides rise high enough under the arm to protect the sensitive armpit region. If the panels are too high, they will most likely cause chaffing and rubbing when you move your arms. If the panels are too low below the armpit region, you are unnecessarily sacrificing some torso coverage. 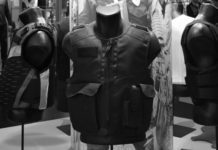 Your department or agency has probably dictated what ballistic threat level you need to wear on duty and may have even told which manufacturer’s model you will be wearing. 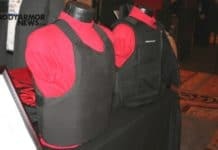 Now your questions and analysis should be focused on torso coverage when issued or purchasing custom-sized body armor. When being sized, wearers should demand a two-inch, front-to-back panel overlap to help prevent rounds from ‘slipping in’ during a side angle or to the back. Finally, it is important to keep a one- to two-inch gap between the top of your duty gear belt and the bottom of your vest. This helps ensure that there is enough room for the vest to shift when you are in the sitting position and stops your armor from pushing up towards your neck and throat. 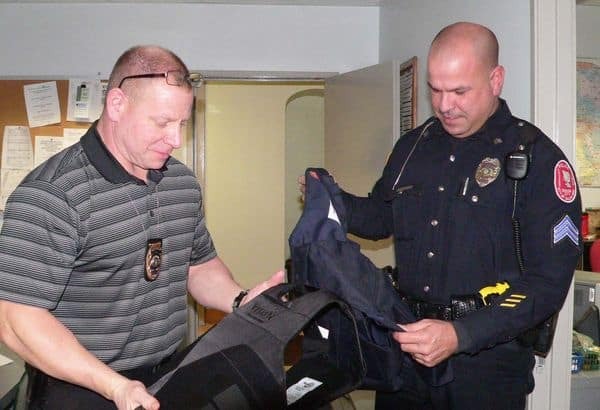 Also, when you body armor and duty gear are in frequent contact, the vest could potentially suffer unintended wear, rubbing, or creasing that can affect the panel covering and ballistic materials over time.